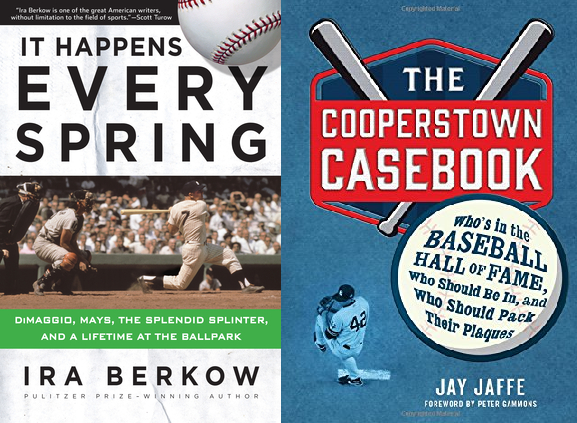 One of the country’s most popular sports writers, Ira Berkow, will appear at the Museum to present his new book, IT HAPPENS EVERY SPRING. Culling from 50 years’ worth of columns, the former New York Times journalist captures the spirit of America’s pastime in this collection of opinions, stories, and observations that brings to life some of baseball’s greatest personalities from the last half century. That same afternoon Jay Jaffe will talk about his new book, THE COOPERSTOWN CASEBOOK: Who’s in the Baseball Hall of Fame, Who Should Be In, and Who Should Pack Their Plaques. Jaffe’s appearance — exactly one week before the 2017 Baseball Hall of Fame Induction Ceremony – will offer insights into the eight-decade long battle to honor baseball’s best players. Using advanced statistics to facilitate comparisons between candidates of different eras, THE COOPERSTOWN CASEBOOK illuminates some of the institutions greatest injustices, and lays out the debates over past, current and upcoming candidates. NJ Jackals will play the Ottawa Champions at 2:05 pm.